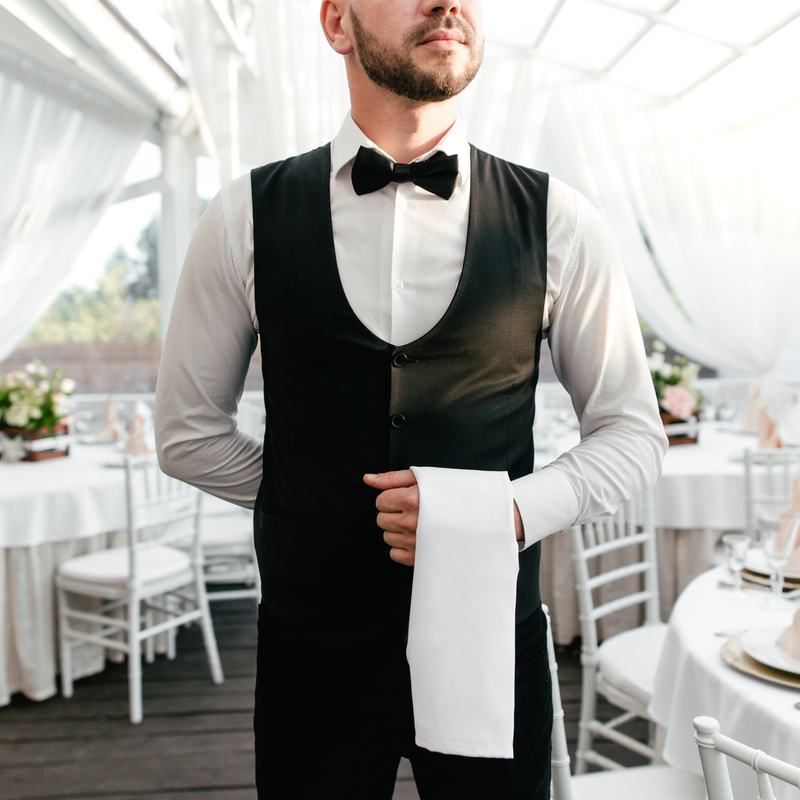 In this blog, we’ll explore the three most common types of restaurant towels and how you can make the most use of them for different needs within your business. These towels are small, light, and absorbent. As the name implies, bar towels are your towels of choice for bars, counters, and tabletops. They have high absorbency and are perfect for taking care of those nasty spills on your tables. Utility towels are easily some of the hardest-working in your restaurant towel arsenal. They are ideal for various uses, like wiping off food stains from your cutlery and knives, handling hot pots and pans, wiping off grease from your stoves and surfaces, etc. As such, these towels are excellent in absorbency and oil-wicking capacities, are ideal for helping scrub away stuck-on grime and food remnants, cleaning off food preparation surfaces, and wiping hands. Because of their versatility, utility towels are ideally made of heavy-duty materials. Highly-absorbent, delicate, and lint-free, glass towels are designed especially for drying and polishing your glassware and cutlery. Towels are easily some of the most overused items in any restaurant linen supply. They get used round-the-clock and in far too many areas of any restaurant. What exactly does this mean for your business? A mountain of dirty towels in need of laundering – and fast! A restaurant can go through a dozen or so in a single shift. Keeping up with this need can get overwhelming! Steady supply of towels. The restaurant kitchen can be unpredictable, including how many or how few towels you’ll need on a particular week. With towel service, you would will not have to worry about not having enough towels for every shift – you’ll get them on time, every time, and in the right amount. Better quality clean. With better laundering equipment and experts taking care of your dirty towels, you can rest assured that every batch of towels delivered to your restaurant are at their cleanest, safest, and ready for use in your food service business. High-quality towel selection. Commercial towel service companies have access to a wide array of linen products. Restaurant towel service companies like Dust-Tex offer better quality options and you are assured of towel types that will perfectly suit your most specific needs! Cost-efficiency measures. Working with a reliable, professional towel service provider – the one that has the work to match the reputation – means getting a better grip of your towel usage. You’ll get accurate reports and invoicing of your towels used in a given period, helping you plan your orders better to meet the specific and fluctuating demands of different seasons. That’s another thing off of your plate and more energy to focus on growing your brand. Experience the benefits of getting the right restaurant towels today! Contact Dust-Tex today to find out more about the benefits of our restaurant towel and linen services! Call 808-842-4811 or drop us a line here to get a free quote or send inquiries!